South African women are having a bigger effect in the male-dominated property world than ever before. 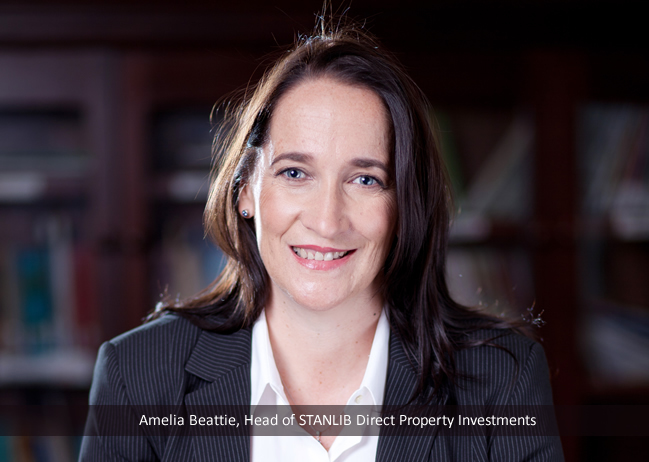 Amelia Beattie who heads STANLIB’s Direct Property Investments (SDPI) Franchise, has played an influential role in the rest of the African continent. Under her guidance, the Property Asset Management team manages the Liberty Property Portfolio and recently launched STANLIB Africa Direct Property Development Fund. Liberty’s Property Portfolio of around R30bn in size, making it one of the largest unlisted property portfolio in South Africa, has developments in the ground of R2.6bn. The Portfolio owns 25% of Melrose Arch, 75% of Sandton City and 100% of Eastgate and Nelson Mandela Square, the most premier retail assets in SA. Beattie’s team has also been instrumental in developing the R1bn John Ross Eco Junction in Richard’s Bay, as well as launching the world class Diamond Walk at Sandton City. As the only female that heads a franchise at Stanlib, Beattie leads the team that manages the STANLIB Africa Direct Property development fund, with schemes in Ghana, Uganda and Kenya and provides strategic support for the various assets. Beattie has played a role in STANLIB Kenya Limited listing the STANLIB Fahari I-REIT on the Nairobi Securities Exchange (NSE), making history as the first listed property income fund in East Africa. The STANLIB Fahari I-REIT’s successful initial public offering (IPO) raised over 3.6 billion Kenyan Shillings, a material 1 billion Kenyan Shillings above the 2.6 billion Kenyan Shillings threshold required for listing. The I-REIT will invest in properties across the real estate sector including retail, commercial, industrial and housing. It has already invested in a modern shopping mall, offices and a warehouse. With a passion for developing young female talent in the property industry, Beattie is involved in various programmes that encourage more young people to seek careers in property. She is the immediate past president for the South African Property Association (SAPOA) and won the WPN Nedbank 5 Star Woman award in 2008. 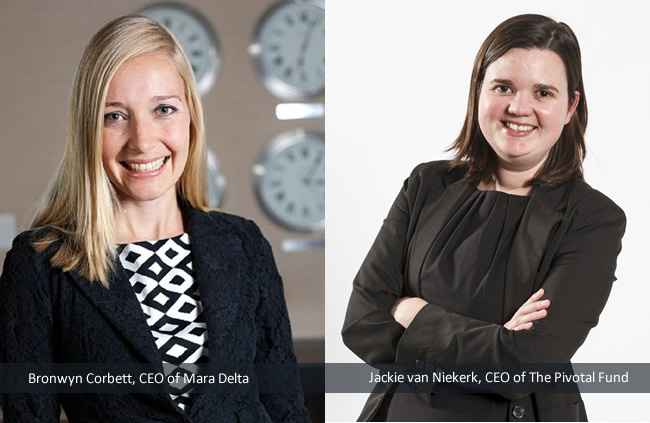 Two of the most exciting careers for women in property are those of Bronwyn Corbett, CEO of Mara Delta and Jackie van Niekerk, CEO of The Pivotal Fund. The two women are both under 40 and are highly ambitious. Van Niekerk and Corbett have also created a working relationship with Pivotal’s African Mara fund merging with Corbett’s former company Delta Africa. The new fund is called Mara Delta and Corbett is set to be CEO of this mega African fund. The merger is the most important of African deal of 2015. Delta Africa will become the largest Pan-African property fund on the JSE, with more than R6.5bn worth of assets. The deal was given the green-light by shareholders this week. Corbett says the fund will be worth about $1bn in the next twelve to eighteen months. The group is also going to list in a multiple number of countries. As part of the Mara Delta agreement, Abland Africa, Kenyan developer Carlisle Property Holdings have been appointed as promoters to source investment and development opportunities across the continent for Mara Delta. Van Niekerk will sit on Mara Delta’s board. Her being CEO of Pivotal and having an African pipeline creates a strong launch pad for Corbett’s Mara Delta. With Delta Africa, Corbett struggled to bed down deals quickly enough. She also did not have a large enough team that was positioned across Africa. Mara Delta intends to list in Kenya and Morocco. It already has listings in SA and Mauritius. Effectively, Corbett and van Niekerk are the first movers in African property investing for South Africans and South African listed property investors. 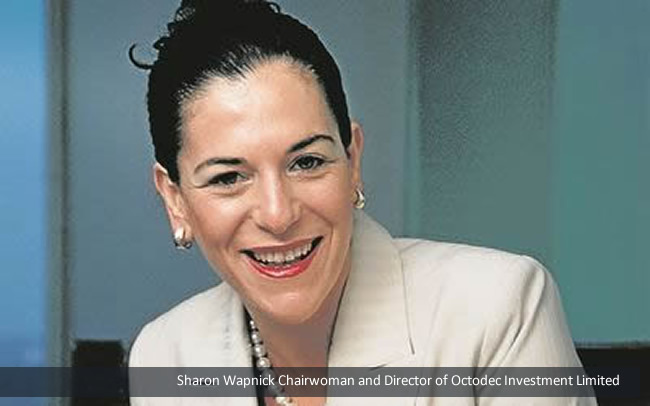 Another vibrant women making the waves in the listed sector is Sharon Wapnick. She is the Chairwoman and a Non-Executive Director of Octodec Investment Limited which invests in the residential, commercial, industrial and retail market segments of the Tshwane and Johannesburg CBDs and surrounding areas. She holds various other directorships of unlisted companies including City Property. Wapnick has considerable experience in the property industry, as well as in legal-related property matters. She is an attorney and a senior partner of Tugendhaft Wapnick Banchetti & Partners. A number of women also work at senior listed and unlisted property companies. This includes Ulana van Biljon, who is the chief operating officer of Emira Property Fund. She has a Bachelor of Commerce and over 20 years of experience in both the corporate property and listed property fund environments. In terms of unlisted property companies, Excellerate’s Marna van der Walt stands out. She recently was named the Continental Winner in the Building and Construction sector of the CEO Global Most Influential Women in Business and Government Awards. Before being named continental winner, earlier this year van der Walt was named a regional winner in this celebration of Africa’s most influential people, adding her name to an impressive list of prominent women advancing African economies. Der Walt heads up Excellerate property Services which is an integrated property services provider. With over 20 years experience in the industry, she has also served in several industry leading positions including president of the South African Property Owners Association (Sapoa) and president of the South African Council of Shopping Centres (Sacsc). “Africa is growing a world class property sector that is increasingly respected and exciting. It is an honour to be part of a sector that is driving the development of industrial, business, retail and social infrastructure across the continent,” she said. 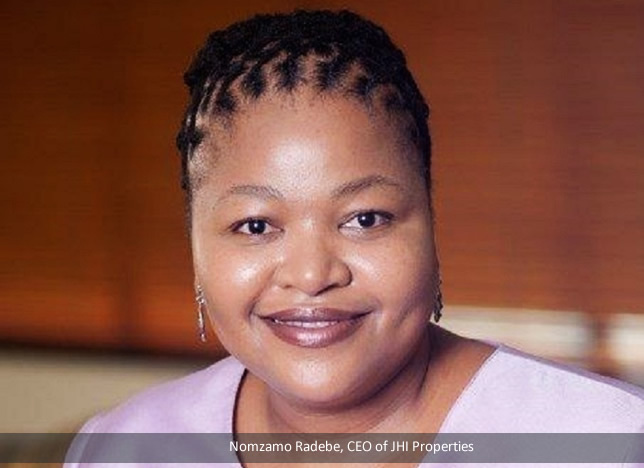 The next Sapoa president who will follow Michael Deighton is Nomzamo Radebe, Managing Director of JHI Properties. She has quickly risen through the ranks and held many senior management positions. This includes being a former chief investment officer, an executive director and a member of the executive committee of Pareto Limited. She is a woman to be reckoned with and commentators are watching her career closely. 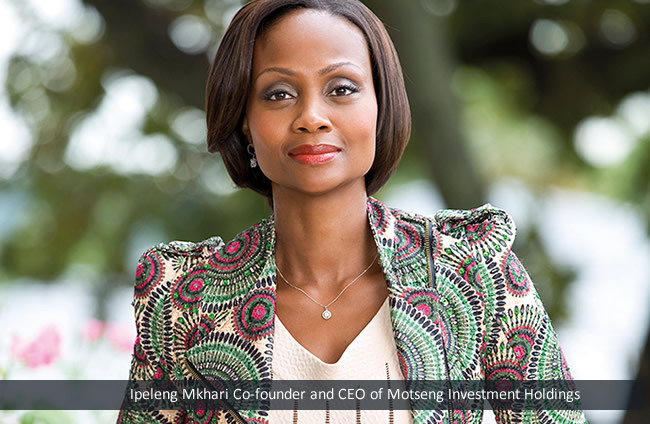 Having established the first black woman-owned CCTV business, Ipeleng Mkhari co-founded Motseng Investment Holdings, a diversified investment holding group, in which she currently serves as its Chief Executive Officer. The Motseng Group founded and listed Delta Property Fund in 2012. She was a finalist in the Entrepreneur Business Woman of The Year Award (Business Women’s Association) in 2006. The powerful and a darling to all, Mkhari serves as a non-executive director on the boards of various companies, trusts and associations. She was appointed as an independent non-executive director of KAP Industrial Holdings Ltd in 2004 and serves as the chairman of the social and ethics committee and is a member of the human resources and remuneration committee. Motseng is a diversified investment holding company with investment and operations in property. 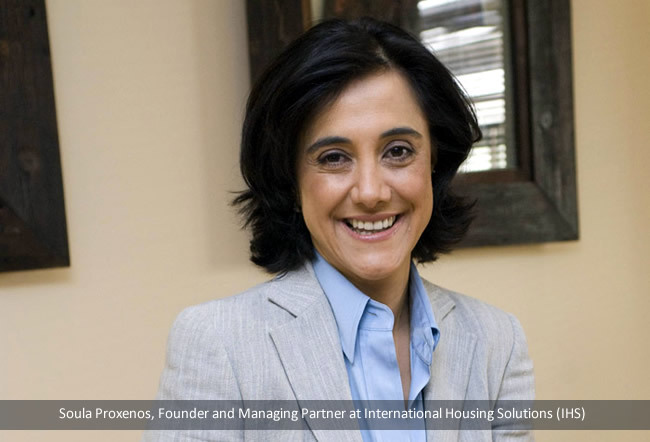 In the Affordable Housing space, we have Soula Proxenos who is the Founder and Managing Partner at International Housing Solutions (IHS). IHS is a private-equity firm that invests and build viable community-centered affordable housing projects in South Africa and sub-Saharan Africa. 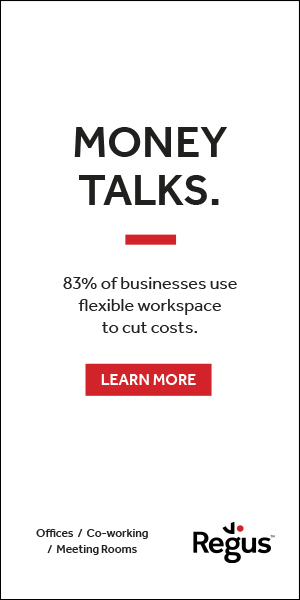 Proxenos has more than 27 years of financial services experience. She has run business units, managed international marketing and sales teams, developed strategic alliances, and opened new markets for the international divisions of South African and European financial services companies. She serves on the board of Tahirih Justice Center and her expertise is in access for the poor to financial products. She co-founded the SAWHF fund after joining IHS in 2006. 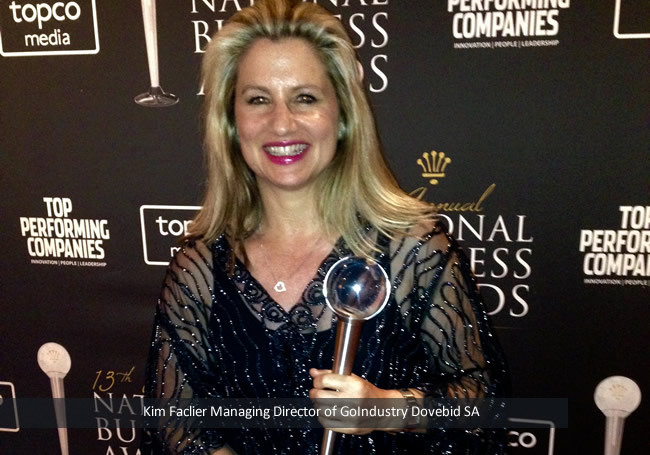 Rising and upcoming in the property auction business is Kim Faclier MD of GoIndustry Dovebid SA. Her company recently achieved the National Business Award 2015 in the Fast Growth Category. Faclier is widely recognised among South Africa’s top property sales investment specialists, and commercial sales and leasing brokers. She has won the Property Award at South Africa’s Most Influential Women in Business and Government (MiW) Awards announced by CEO Magazine. 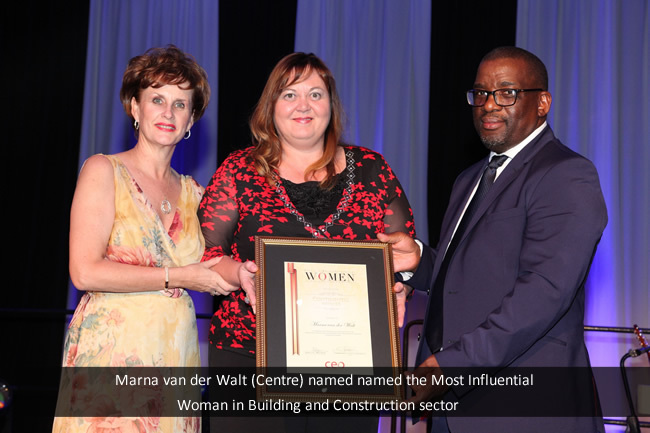 Recently the Women’s Property Network (WPN) honored and celebrated remarkable inspiring women doing exceptionally well in the sector at a gala dinner which took place at Montecasino, Johannesburg. The winners included Nina Dube in the Young Achiever category, Zola Ntwasa in the Entrepreneur category and Yondela Silimela recognized in the Public Sector category. Genevieve Naidoo, the Chairwoman of the Network, acknowledges that the times are certainly changing, as women continue to climb the corporate ladders across the real estate sector.